In 2016, Donnely Centre hosted visits from more than 100 students from Toronto highschools. During these visits, the students had a chance to speak with our researchers and learn about their work, as well as get a hands-on experience with basic methods in molecular biology. We showed them genetically modified yeast, worms and fish that our scientists use to understand how biology works. They also saw some of the latest instruments that are the cornerstone of genomics research, such as DNA sequencing machines and robots that handle thousands of experiments each day for large scale studies in genetics. None of this would have been possible without our fantastic graduate students and postdocs who take the time away from their research to help as outreach demonstrators! 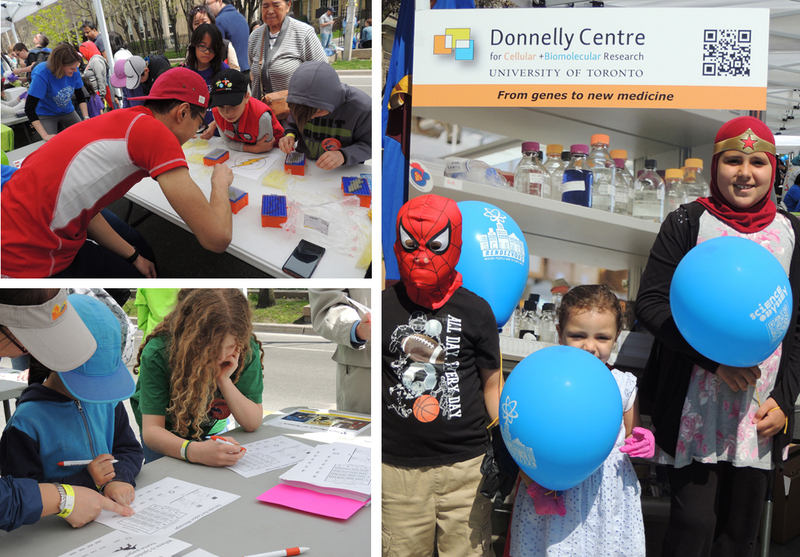 Also, thanks to Dr. Christine Misquitta, Donnelly Centre again took part in Bring Our Children to Work Day, an annual U of T event, and Science Rendezvous, the largest celebration of science in the country. To view more photos, visit our Flick Gallery by clicking here.